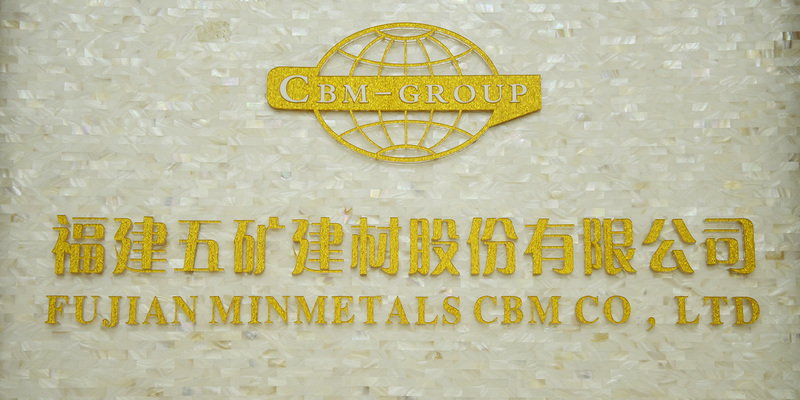 FAQ - FUJIAN MINMETALS CBM CO.,LTD. Q 1. CBM DEVELOPMENT HISTORY MILESTONE? Q 2. Are you a manufacturer or trading company? We are manufacturer for some of the building material products, and a big trading company work with specialized factories which cover almost all the building materials . Q 3. What kind of building materials your company wholesale? Our products covers Tile &stone , Kitchen Cabinet, Lighting ,Bathroom vanity, Sanitary accessories, Decoration materials, Doors & Lock, and Iron door&railing ect. A We focus on supplier one-stop solution building materials for cusomter, from purchasing to shipping, save customer's time ,energy and cost. Q 5.What is you company goal in 2019? We are applying AEO certification in 2019. our goal is to win this certification this year. Q 6.If pass AEO certification,What kind of benefits will the company have ? If the company had Successfully applied AEO certification.it will help to improve the credibility and popularity of the company ,In terms of customs,it will enjoy customs clearance convenience , tax convenience and special services according to different levels of certification. Q 7. What is the advantages of your company? A For years of experiences in construction industry, We have many long-term cooperation factories which can supply us in competitive price and fine quality products ,this ensure us to provide one stop solution service for our esteem customers like importers, construction companies ,meanwhile, our professional team members will follow your order from very beginning during the production and after production to make inspection for our customer. A Cylindrical knobs.lever-set lock, door handles, anti-panic lock, zinc alloy,electronic.locks.padlock,Drawer lock,dead bolt lock,mortise door lock,door lock with knob. Q What kind of locks your company sell? A We have locks for residential use and commercial use,including Entry door lock.Interior door lock.Bathroom lock.washroom lock.Passage lock. Q What is Charleston style? Q Advantage of quartz stone counter-top. A Compared with other artificial stone, quartz stone has the advantages of high temperature resistance and scratch resistance, and the hardness and wear resistance are good. People had said before that the quartz stone’s surface is as hard as granite, the color is as beautiful as marble, and the finished form is as rich as artificial stone. Q How can I identify the quality of quartz stone? A The most important thing about quartz stone is density. The low-density quartz stone is prone to bleed, and a drop of soy sauce penetrates in a few hours. Generally, the smaller the particles, the larger the number of crystals, the less the mottled color, the smoother and finer the quartz stone, the higher the density; at the same price, the darker color is less bleed than the light color, which is a better choice. A Many people have a misunderstanding that quartz stone is a natural stone. In fact, because there is no large piece of quartz stone like marble in nature, the quartz stone material on the market is made up of more than 90% quartz crystal. An artificial stone synthesized by resin and other trace elements. A the common cabinet design is mainly divided into five types, one-shaped, L-shaped, island-shaped, peninsula shape and U-shaped. 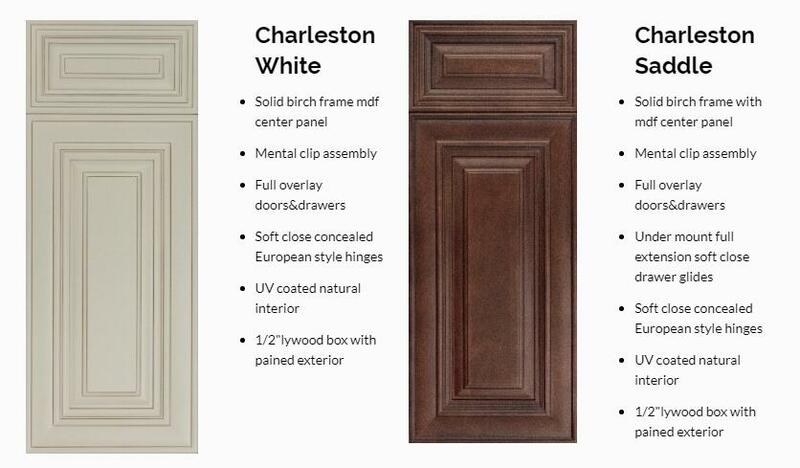 Q What to notice when install the Customized kitchen cabinet? we must measure the size several times in different stage. 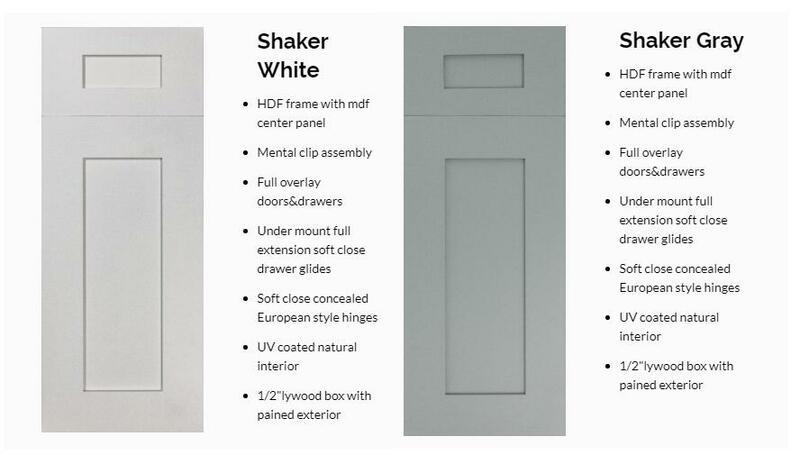 Because it takes at least 1-3 months from start to installation, and the cabinet design needs 2~3 times door-to-door service to complete . In the design and production process, if the measurement is not accurate, it needs to be measured again, and in terms of the length of the meter, the budget may be twice as long. In customized cabinets, hardware is the heart of the entire cabinet, good quality hardware can be used for 10 years, and poor quality hardware may need to be replaced in a year or two. Q Is it okay to do parquet cutting on tile? How much will it cost? A Sure. But tiles should not be cut on site as far as possible, because there will be explosion edge, which is very ugly. At the same time, if you want to process parquet, it should not be too complicated, otherwise the cost of processing is even higher than stone. Q What should we pay attention to install tile? A 1. The floor is directly paved with cement mortar, and the walls are to be bonded with professional adhesives. 2. There are two other things, which is the locator and the seam. Q What kind of specifications are better for floor tiles? A The two sizes of 800X800 and 600X600 are commonly used. The thickness ranges from 10mm to 15 mm. There is not much difference. Particular attention should be paid to the wall, which is thinner and better.